I've been busy this week, photographing and listing new items in my Felt shop. 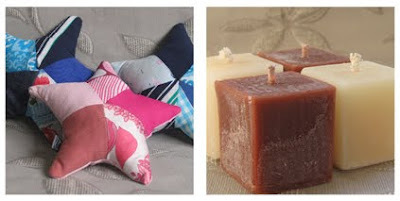 I have added soy tealights which I introduced at A Craft Affair. These are a little taller than your average tealight, last for about 7 hours. They come in a range of fragrances, or are available unscented. 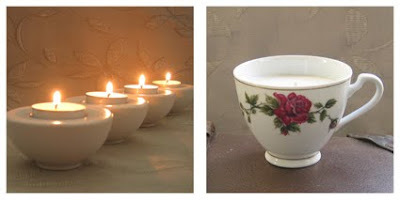 I have updated all the listings in my soy candle range to include all available fragrances . There are two new fragrances now available in the mini scented cube range as well – Coffee and Cinnamon. I have also added my new, and much talked about Starfish baby rattles. They are made from upcycled fabric remnants, and stuffed with natural New Zealand wool. If you didn't get a chance to check them out at A Craft Affair, pop over and have a look. Now I'm busy preparing for the Auckland Art and Craft Fair this Saturday, I will post another blog about this in the next day. I won't be at the Rolleston Community Market this month, as I get back from Auckland late on Saturday night, and thought I deserved a break! Those little stars rattles are so sweet... are you taking some up to Auckland? Good luck getting ready see you way to soon. I will if I can fit them in my suitcase! I don't think I'll have time to make any more, unfortunately.